International oil prices have been dropping precipitously in recent weeks. It is causing havoc among the energy industry and especially those nations that have become overly reliant on income derived from the sale of crude. During the last 18 months, a barrel of oil has dipped in price by more than 70%. Valuation has dropped by 20% in 2016 alone. It is becoming one of the worst crashes in the post World War II era. The cost has now dropped to a level not seen in 12 years. Investors are now watching the price descend to below $28.00 USD (United States dollar) and are already feeling the reverberations from this action. In addition,world markets are dealing with a spectacular decline in growth from China, plunging currency values and a general global slow down in economic expansion. A total of $3.2 trillion USD has been eliminated from exchange valuation since the beginning of the year. The oil industry is is the deepest downturn since the 1990’s. Nearly two thirds of available rigs have now been withdrawn and investments in exploration have been cut back sharply. It is estimated that over 250,000 workers in the industry have lost their jobs, as a massive downsizing in the sector continues. 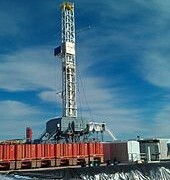 Related manufacturing is in a free fall as demand for equipment in drilling and production has shrunk dramatically. Worse yet, many producers are now resigned to the fact that there will be no real recovery in the energy industry in the near future. There are two main factors that have led to the present circumstances, declining demand and overabundant supply. 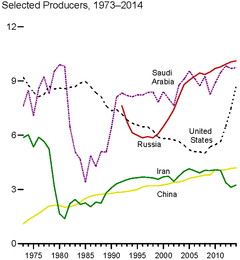 As growth economic continues to slacken around the globe, the need for oil drops in concert. Inventories are at all time highs, as buyers have taken advantage of market conditions to store crude in every available space. Production is the other side to the current low price of oil. 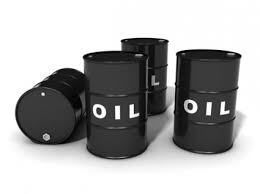 There is between 1 and 2 million barrels surplus in the supply chain available on a daily basis. This is a result from a number of factors that are both economic and political in nature. The United States has practically doubled output in crude which reached 9.4 million barrels in 2015. It has reduced the need for imports from Algeria, Nigeria and Saudi Arabia strikingly. This oil has to now be sold elsewhere, forcing these nations to sell the commodity at a discount. Although plunging prices has slowed the energy revolution in the United States, new production in the Gulf of Mexico has kept overall yields relatively high. 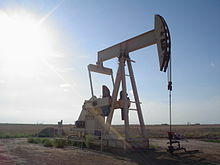 Both Canada and Iraq have also managed to increase the amount of oil that is being produced domestically, substantially adding to world supplies. Despite lack of investment and other economic dislocations including a plunging currency valuation, even Russia has been able to maintain abundant output for export. As international sanctions against Iran end, even more crude will be coming on line. The Iranian government has already announced that an additional 500,000 barrels a day, will soon be made available for export. In order to hold market share, Saudi Arabia is determined to keep production levels at historic highs. The kingdom has determined that their own loss of revenue, will be balanced by denying Russia and particularly Iran, the higher oil prices they both need to stay solvent. The Saudis have also determined that the present policy, will have the ultimate benefit of forcing higher cost competitors out of business. An example of this is the fracking part of the industry in the United States. Whereas Saudi Arabia can make a profit with oil prices as low as $20 USD, smaller American shale producers despite recent cost efficiencies cannot. Saudi Arabia is now producing 750,000 barrels more a day than a year ago. Daily output has now reached a total of 10.25 million. It has been determined by a number of experts, that they can keep this level of production going indefinitely. An additional cause for the lower price phenomena, is the strengthening valuation of the American dollar. As most international crude is bought and sold through the use of USD, a stronger dollar puts added impetus on the downward pressure on oil. The economic pain of this lower price structure in oil, is resonating around the world. One nation after another is succumbing to fiscal crisis, as receipts from exports dry up. It is creating social instability and political change in many countries. Brazil, Ecuador, Indonesia and Venezuela to name just a few, are facing increasing difficulties as their dependence on declining oil revenues is creating a need for major cuts in government expenditures. The lower prices for crude have effected the wealthy nations of the Persian Gulf as well. It is estimated that Saudi Arabia and its allies in the region will suffer a financial loss of some $300 billion USD in 2016 alone. If this situation is to continue into 2017, support for the present policy of Saudi Arabia will come under increasing pressure from other members of OPEC (Organization of the Petroleum Exporting Countries). 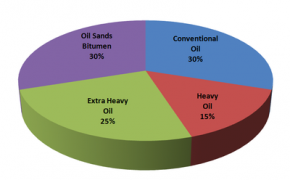 The cartel alone is responsible for about 40% of total world output of crude. Non OPEC production should shrink by about 660,000 barrels a day, by the second half of 2016. It would partially reverse the gain of some 1.23 million barrels increase that was achieved in 2015, outside of the cartel. North America in particular is already experiencing evidence of this phenomena. Larger companies will continue output by accepting shrinking profit margins but, smaller firms will be eventually forced into bankruptcy. There will be a number of mergers as well as a fire sale of smaller enterprise assets for the larger conglomerates to buy up. Nearly 40 companies in the region have already become insolvent. A wholesale reorganization and restructuring of the entire industry will then ensue. The survivors will have become far more efficient in extraction and production, which will limit the long term damage to the industry as a whole. This is why North American output will decline, but only moderately. Slowing economic growth around the world especially in China, will prevent a major rebound in the oil price structure in the near term. As tensions mount with the collapse in crude valuation one begins to wonder if there will not be an attempt, to provide a shock to the energy market. An attack on the oil fields in Iraq or Saudi Arabia would overnight reverse the decline. Any interruption to the flow of traffic in the Persian Gulf would have a similar effect. If oil tankers were to be sabotaged or not permitted to travel through the waterways in the region, investor fears would cause prices to rise quickly. The present international situation in oil prices and supplies have become a high stakes game where the winners and losers are becoming increasingly at odds with each other. The desperation of leaders and nations that are suffering significantly from the loss of revenue, may well trigger additional crises and incidences in the near term. This in turn, will result in growing fears of an disruption in energy supply lines. It is the one thing that could easily turn around the present futures market in oil. Most analysts and investors have not included this possible scenario in their predictions. Speculators can be forgiven if they begin to calculate the temptations of a number of players in the oil game, to change the rules by force once again.